An anthropologist claims that he's finally solved the 80-year-old mystery of Amelia Earhart's disappearance, telling the "Today" show it's "99 percent" likely that bones on the remote Pacific island of Nikumaroro belong to her. The bones were discovered in 1940, but an expert said at the time that they belonged to a middle-aged man. 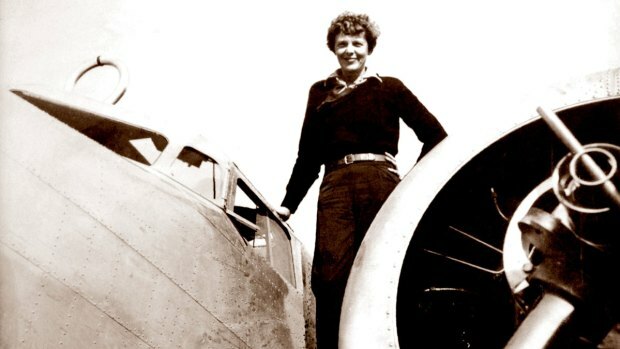 They've disappeared since then, but now Richard Jantz, an anthropology professor at the University of Tennessee, argues they were Earhart's. "These bones are much more similar to Amelia Earhart than they are to anyone else," he said. Jantz came to that conclusion after comparing documents showing measurements of the bones with an estimate of the famed aviator's bone lengths from a photograph. Black-and-white film of Amelia Earhart before her last flight has surfaced. It was taken at Burbank Airport in California and features her last photoshoot before she flew most of the way around the world and disappeared.